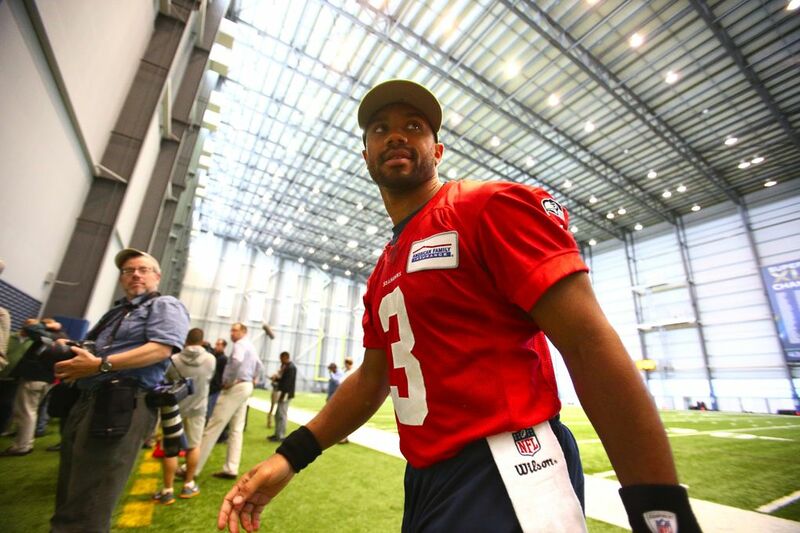 Mark Rodgers and Russell Wilson speak daily, and those conversations include updates on contract-extension negotiations for Wilson, who since arriving in 2012 has led the team to the greatest run in its history, including its first Super Bowl title following the 2013 season. It was May 5, 2010, in a parking lot of the baseball field at North Carolina State University, where the seeds of a relationship that suddenly is as critical as any in Seattle sports history were sewn. Mark Rodgers, a sports agent for more than two decades, had made the trip from his Palm City, Fla., home to meet the player who had called him two days prior asking if Rodgers would be interested in advising him — a two-sport star named Russell Wilson. Question: Where do things stand? Answer: Wilson became eligible for an extension of his initial four-year rookie contract when the 2014 season concluded. Though there have been talks, the sides are not considered close to a deal. Q: What happens if there is no agreement soon? A: It’s thought that if there is no extension by the beginning of training camp July 31, there might be no further talks until after the season. If that happens, then Wilson would play the 2015 season via the terms of his initial contract, meaning he would receive $1.52 million. A: The sides can reach a deal at any time. If Wilson remains unsigned after the season, the Seahawks could place a franchise tag on him (the deadline is March 7, 2016) which would assure that he likely would make $25 million in 2016 (if it’s an exclusive tag, it also would mean there would be no way the team could lose him). If the team opted not to place a tag on him, he could become a free agent. If the sides still could not reach a deal, Seattle could place tags on Wilson in 2017 (at a 20 percent raise of his 2016 salary) and 2018 (44 percent). Q: What are some of the pressing issues? A: Wilson is thought to want a contract that could make him the highest-paid player in the NFL (Green Bay QB Aaron Rodgers, at $22 million per year, tops the list), and that it would rank among the highest contracts throughout the life of the deal. Wilson also is thought to want a significant amount of fully guaranteed money (NFL contracts are not fully guaranteed, unlike in other sports). The Seahawks are attempting to sign Wilson while also leaving as much room in their salary cap as possible to keep the team at a competitive level. They agreed to head to a local restaurant, Tobacco Road. Wilson, though, said he would drive himself and once there asked for separate checks. Over the course of a conversation that lasted more than three hours, Rodgers similarly impressed Wilson, who needed someone to advise him with the upcoming Major League Baseball draft — in which he was a fourth-round pick. Wilson had intended for his father, Harrison, to be his agent once he turned professional. But Harrison Wilson was in the final stages of a battle with diabetes that took his life at age 55 on June 9, 2010. Russell Wilson, hoping to play pro football and baseball, had scoured the Internet looking for agents who represented two-sport players and zeroed in on Rodgers, whose clients include Jeff Samardzija, a former football star at Notre Dame now in his eighth year as a major-league pitcher. Wilson also liked that Rodgers was friends with Tom Holliday, an assistant baseball coach at N.C. State and the father of baseball star Matt Holliday. In the meeting at Tobacco Road, Rodgers mostly asked questions and listened. But along the way, Wilson also learned that Rodgers has been married since 1984, is the father of five and has long been active as a coach in youth baseball and softball (he says he coached every baseball and softball team each of his five kids played for over 22 years). “A really, really good father figure,’’ Wilson said of Rodgers in a recent interview. Wilson reflects now and says he realizes he might have been looking for someone with those qualities as much as an adviser and agent. College: Florida State (Bachelor of Science with emphasis in broadcast journalism, 1981); FSU College of Law (1987). Children: Five (sons Matthew, Andrew, Brian, John, daughter Katie). Matthew is Director of Communications of Film & Electronic Media for Rodgers’ company, Frontline Athlete Management; John played baseball at Notre Dame, graduating in 2014; Andrew attends Indiana; and Katie attends NYU. Brian is entering the eighth grade. Hobby: Coaching baseball and softball, serving as coach for all of the teams of his children. He was head coach of the Marin County (Fla.) North Little League team that finished two wins shy of the Little League World Series in 2013. Fun fact: Rodgers not only was a broadcast journalism major at Florida State but worked as a sportswriter to help support himself while in college. 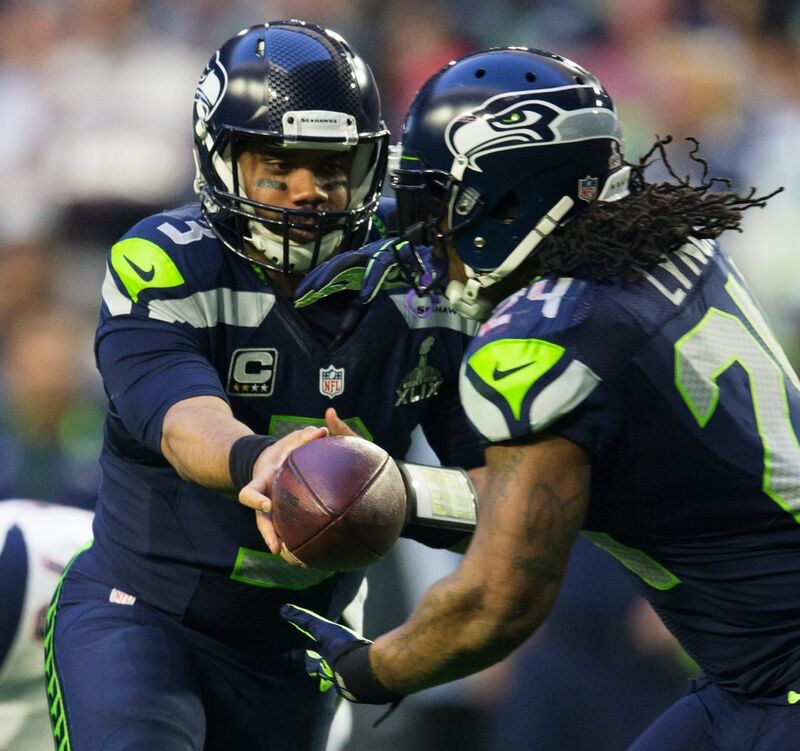 These days, those daily conversations often include updates on negotiations with the Seahawks about a contract extension for Wilson, who since arriving in 2012 has led the team to the greatest run in its history, including its first Super Bowl title following the 2013 season. Wilson became eligible for an extension of his initial four-year rookie contract at the conclusion of last season, his third in the NFL. Given Seattle’s propensity for getting extensions with key players signed relatively painlessly the past few years and Wilson’s image as a team-first player, many Seahawks fans likely assumed that a new deal would come together quickly. Instead, the sides appear no closer to a deal now than the day the season ended, with talks widely considered at a standstill. Along the way have come reports detailing potential reasons for the hang-ups and speculating on possible dire outcomes, such as Wilson playing this season without an extension. That could create the possibility (if exceedingly remote) that he could become a free agent a year from now, or possibly be traded. That has thrust a spotlight on Rodgers, who though far from unknown in agent circles isn’t exactly as well-known as Drew Rosenhaus or Scott Boras. It’s a spotlight Rodgers understands, if for no other reason than he once was on the other side of the camera. “I grew up wanting to be Bob Costas, not Perry Mason,’’ he said. One of eight children, he grew up in Coral Gables, Fla., eventually enrolling at Florida State where he was a broadcast journalism major. After college, he taught English and journalism and coached football and baseball at an all-boys Catholic school. He also worked weekends as a sports producer at the CBS affiliate in Miami. Those experiences, he said, “inspired me to chase a dream’’ of going to law school. Rodgers might have gained his most fame in 2000 with pitcher Mike Hampton. Rodgers advised Hampton, who began his career with the Mariners, to play out his contract that season with the Mets and enter free agency. After Hampton turned in the best year of his career, which included winning MVP honors of the National League Championship Series, he signed an eight-year contract worth $121 million, at the time the most paid to a pitcher. Rodgers had similar success last year with relief pitcher Andrew Miller, who turned down overtures from the Red Sox at the beginning of the 2014 season, which helped lead to a trade-deadline deal to the Orioles. After he helped the Orioles reach the ALCS, Miller signed a four-year contract worth $36 million with the Yankees. Miller, who had battled injuries the previous two seasons, admitted there were times he wondered if he shouldn’t just take the deals being offered. Rodgers is attempting now to navigate Samardijza to a similar pot of gold. The right-hander turned down a reported five-year, $75 million offer last year with the Cubs, which led to a trade to the A’s. He was then traded to the White Sox in December and can be a free agent after this season. Epstein described his experience with Rodgers involving Samardijza as “an amicable, straightforward negotiation. Both sides were direct and open — there was just a difference in each parties’ respective interests and view of the market. Rodgers’ history leading baseball clients into free agency often has been portrayed as a major influence in how he has guided Wilson’s negotiations with the Seahawks. Rodgers protests, though, that the perception of him as simply a baseball agent now trying to make his way in football is mistaken. Instead, he says his baseball experience has allowed him to see the value in letting players test the open market. Rodgers was certified as an NFL agent from 1987-2011 (among former football clients was Dean Wells, a Seahawks linebacker from 1993-98) and again recently became certified. He let his NFL agent’s license lapse while Wilson was in college but playing pro baseball, serving instead officially as an adviser so as not jeopardize Wilson’s eligibility. Wilson needed a certified football agent to handle his initial Seahawks contract and asked Rodgers to help him find one. 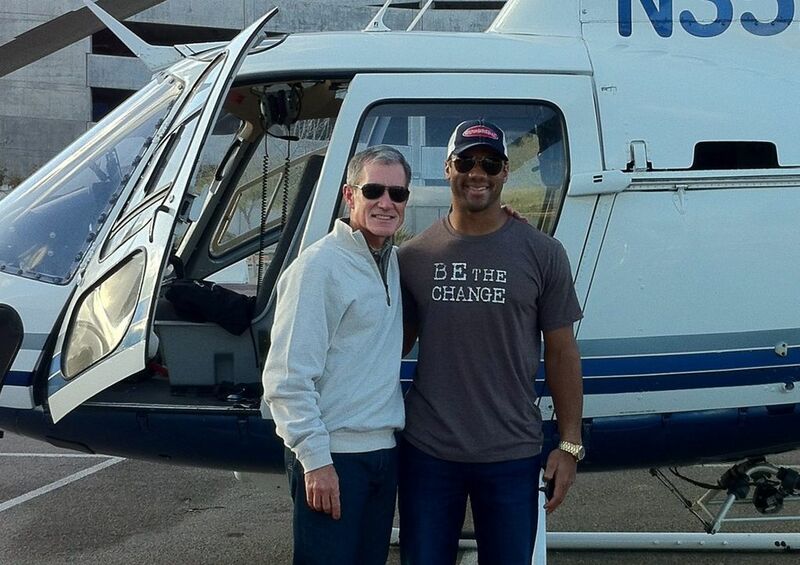 Wilson eventually landed with Bus Cook, whose clients have included Brett Favre and who recently helped Cam Newton land a five-year, $103.8 million extension that some regard as setting a floor for Wilson’s deal. Rodgers, though, said it proved a more difficult task than expected. Last fall, with the extension talks on the horizon, Wilson decided to have Rodgers become his sole agent. Wilson says he keeps up with the negotiations. Though that’s high praise for Rodgers, they might carry ominous tones for Seahawks fans who have begun to wonder if there really is a chance the team could lose Wilson. Wilson turned down an early offer from the Seahawks that reportedly was far below what Newton had received from the Panthers. Wilson also is thought to want a significant portion to be fully guaranteed — possibly more than the $54 million of Green Bay quarterback Aaron Rodgers, whose $22 million annual salary is the highest in the NFL. Some have wondered if Mark Rodgers is simply trying to make a name for himself by landing Wilson a record NFL deal.